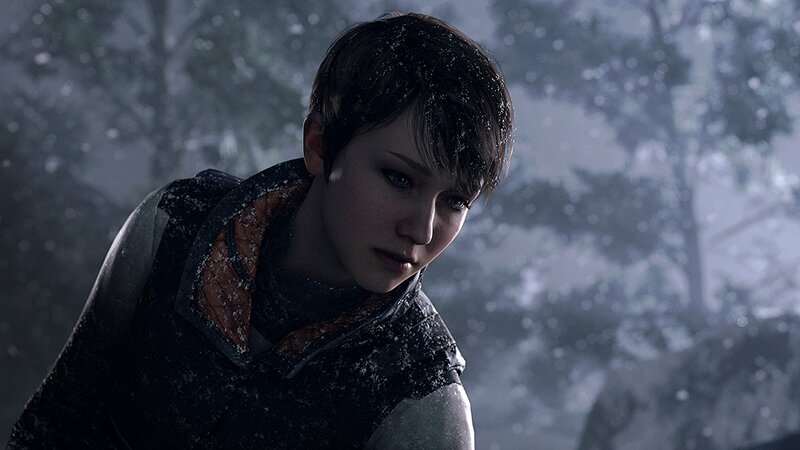 Quantic Dream has gained quite a bit of notoriety with their story based games ever since the release of Heavy Rain in 2010 made them a standout as a Sony developer. As such expectations were quite high when they released the next game in the series only for these hopes to fall flat upon release. 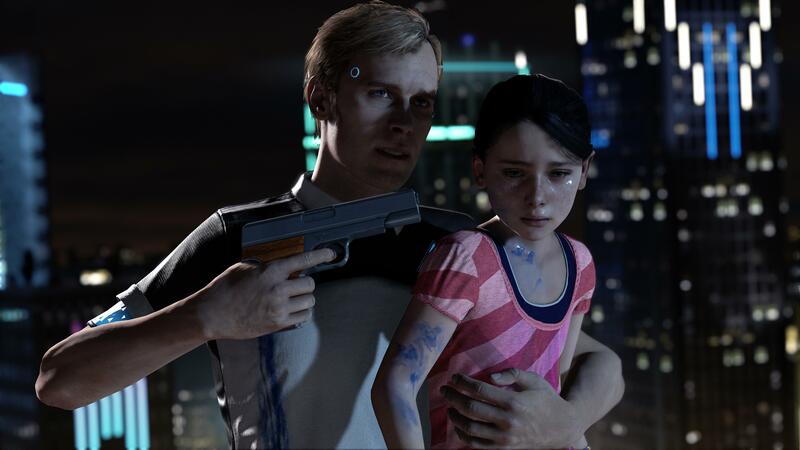 Not one to be discouraged, David Cage has brought forth Detroit: Become Human, a game that truly feels like it embraces the element of interactive storytelling and may just be the best game that the developer has put out. Set twenty years in the future life-like androids have become commonplace to the point that used ones are being sold in stores. While things may seem great on the technological front and the city of Detroit appears to be booming once again, tension is high as the country faces crippling unemployment rates due to android popularity and numerous other struggles that are set more as a backdrop to the core storyline. You see, androids have begun turning “deviant” and turning against their programming and players are first introduced to this concept through Connor, a prototype detective android designed by CyberLife to track down these deviant androids. Alongside Connor we see the struggle of the androids through the eyes of Kara, a housekeeping android who is abused by her owner, a drug-using single father, and Markus who happens to be a caretaker android that assists an elderly famous artist with his day to day life. One of the biggest boons to Detroit: Become Human’s storytelling is just how unique these three story viewpoints are. 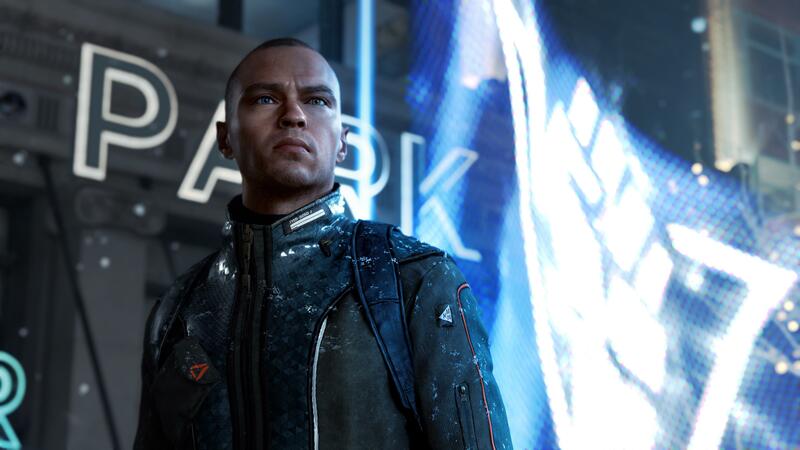 With Kara we see her forced to go on the run after defending her owner’s daughter after he continues to abuse her while Markus ends up becoming the lead that moves the core storyline along after he is thrown into an android hell and “rises from the dead” to lead his people forward. Players will notice that David Cage and his writing for Detroit: Become Human tends to be the exact opposite of subtle to the point of almost being comedic in nature with the aforementioned Markus scene still coming off as horrific but also ridiculous at the same time. The hamfisted nature of these references to real life and historical events are handled incredibly poorly to the point that you will most likely sigh and brush them off since, outside of the extremely obvious themes being referenced by the game, they don’t damage the title’s core storyline that much. Though be prepared for some villainous characters to be cartoonishly evil in nature. Moving on from that we have the third lead, Connor who ends up being the most moldable of the three protagonists. 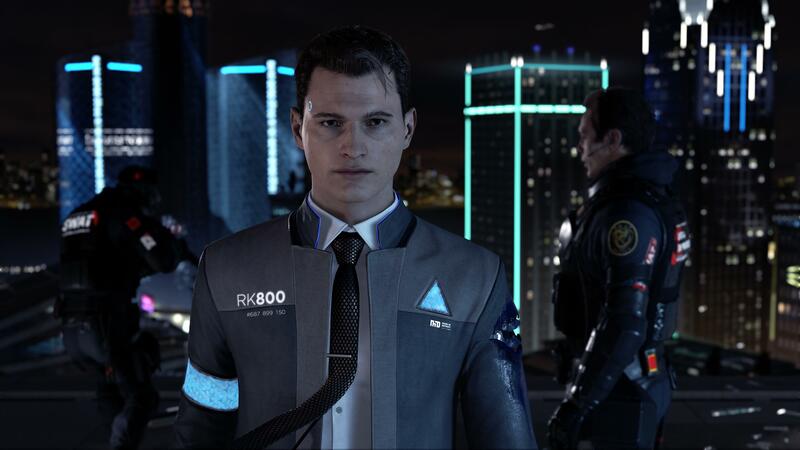 Designed to track down deviant androids Connor follows his orders to the letter with players initially not even having options regarding some of the early instances in the game. 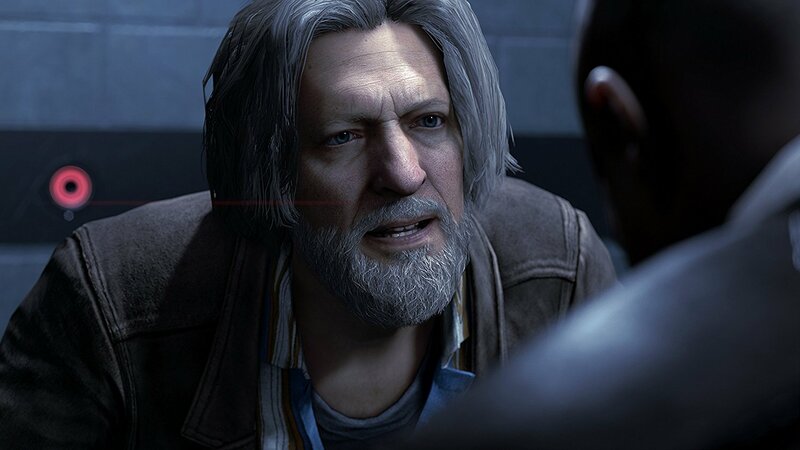 That changes overtime however as his interactions with his human partner, Lieutenant Hank Anderson, and the player’s own choices can lead to him growing more human throughout the story. That being said, with his core directive being to track down deviants he will often be at odds when it comes to Marcus and Kara, with a few scenes quickly shifting control between two characters during some events. Each scene is handled brilliantly with very few lasting too long to the point that you desperately want to get back to one character over another. Over the course of the game we get to see just how human these android can become once they overcome their initial programming barriers, making for an enthralling storyline that has so many different branching paths that some scenes can play out shockingly different between separate players. Player choice plays a large role in how events will play out and even unlock various routes depending on how certain variables are met. As you play the game not only will each character either raise or lower the “affection” of side characters in the story but they can also change the public’s view on androids as a whole. Alongside these factors come new dialogue options or branches that can only be unlocked if you have seen or committed certain acts in previous chapters. This makes for a game that is highly replayable as you will constantly see how different some events may play out thanks to a flowchart that appears at the end of each episode. In fact, it is possible for a story to be cut short thanks to the chance that these characters do have the possibility of dying in some scenes. Even deaths that don’t end up being permanent can remove entire scenes of dialogue in a few cases so players will need to make sure to keep their eyes open to see every possible angle when it comes to tackling problems. It is also worth noting that although some worldbuilding is directly handled through televisions and side conversations with characters, there is a wealth of extra information in magazines that are scattered throughout the world. Often these little collectibles tend to simply be bonuses in games but in Detroit: Become Human they can offer extremely interesting information about how the world actually came to be in its current state adding a large amount of depth to the world itself, especially when your own actions start to make headlines. 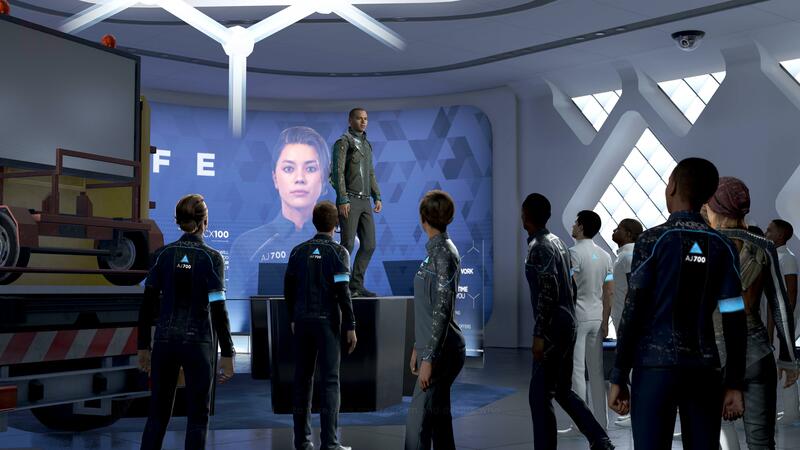 As far as gameplay goes players should come into Detroit: Become Human expecting to experience a “choose your own adventure” movie with small gameplay elements added in. No matter which of the three main characters you are playing as you will be dropped into areas where you can explore an environment and interact with various side objectives and potentially unlock branching dialogue or paths to travel down but for the most part these simple segments send players towards a plot point or a number of different choices to advance the plot. Talking with characters is done through a series of face button prompts that are occasionally timed and depending on what you say you may gain or lose reputation with characters around you and the public perception of androids as a whole. These dialogue options range from being simple to being incredibly important and some of these may not even be hinted as being as important as they are until later in the story. This means that you will always need to be careful of what you say if you want to keep your storyline moving smoothly without it taking a drastic turn. The bulk of the tense gameplay comes in the form of quick-time events and examination scenes. Quick-time events tend to occur during combat scenes or navigating a dangerous scene where failure can occasionally result in nothing happening to a minor injury to flat out death. You see, Detroit: Become Human is more than willing to let a character die even to quick time events if you fail badly enough. It is worth noting that the use of the touchpad and motion controls of the controller also come into play here and there though these often feel more like attempts to make sure you remember they are features rather than adding to the scene. The other aspect happens to be examining crime scenes or planning out routes by using special abilities that only the androids are capable of using with these segments being quite enjoyable in the long run, even if the occasional answer ends up being incredibly obvious that even the normal detectives should have figured it out. It is interesting to note that the game does display a flowchart of events that occur during your time in any given chapter. These will show various things that you may have examined and how your own actions or dialogue choices have sent you down branching paths. Sometimes these branches will usually merge together at the end but it is incredibly interesting to see just how diverse a chapter can be played and what you may have not unlocked, especially when you see just how many ways a chapter might have ended. Players can even compare their choices with percentages of the player base, something that ends up being quite intriguing to see at the end of every chapter. To say that Detroit: Become Human is gorgeous to look at may almost be doing the title a disservice as the title is absolutely stunning to witness. 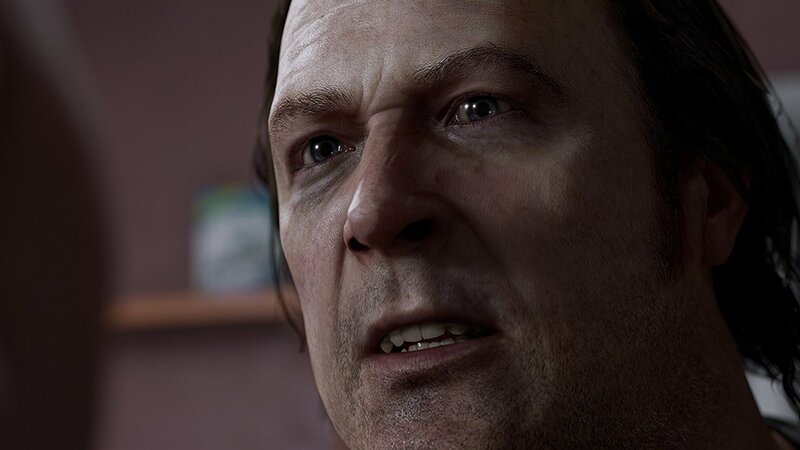 Outside of some side characters and background characters moving through streets, the character models in this game are shockingly realistic looking and are incredibly detailed with believable facial animations making you truly feel connected to the storyline that is woven between our three main characters. The game really shines when it comes to the environments that you will be exploring that all have a feeling of life to them thanks to their gorgeous coloration and level of detail. Real buildings and monuments from current day Detroit will appear here and there while players will be treated to both the fresh and shiny new elements of the city as well as the downtrodden forgotten parts that resemble some elements of today’s Detroit. Again outside of certain side characters that appear to mostly fill in cliche roles and oddly enough the young child ward Alice who is voiced pretty terribly even for a child actress, the voice acting in this game is impeccable. Marcus, Kara, and Connor are all handled incredibly well with their voice actors fitting their personalities perfectly for these scenes. In fact, a wide range of the main side-characters who accompany these characters tend to be voiced quite well as well, really pulling players into the experience. That being said, thanks to numerous hamfisted dialogue elements and certain visuals being as subtle as a sledgehammer, be prepared for some incredibly poorly handled segments that focus on the most obvious themes on portrayal here. Subtlety is not in Quantic Dream’s dictionary but that doesn’t really harm Detroit: Become Human’s storytelling. With enthralling character interactions and decisions that feel like they truly have weight to them this game tells a storyline that blurs the line between what it means to be human. As androids develop free will and even begin to feel emotions such as love and caring for others besides themselves, we see them parallel with humans willing to see them as more than simple machines and intersect with those who seem them as a threat. 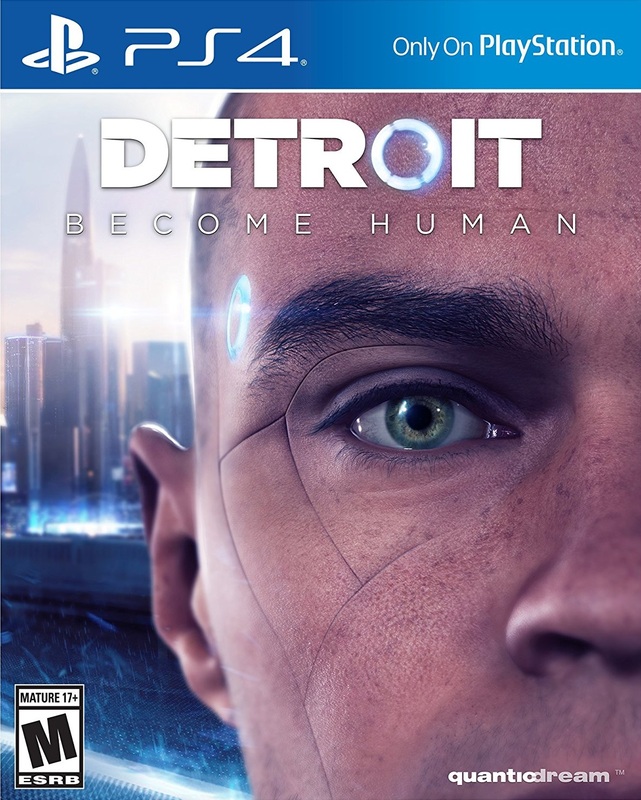 Albeit far more heavy handed than one would like, Detroit: Become Human tells a story that asks numerous questions of the player and will leave you thinking about just how the world might end up handling such events, especially when held up to the events of the current day. Detroit: Become Human may be laughably hamfisted at times but despite this it still tells an engrossing storyline that asks many questions of the player and offers numerous branching paths to offer players a chance to see just how different things can play out.